The City and County of San Francisco is the fourth most populous city in California and the 13th most populous city in the United States, with a 2007 estimated population of 799,183. The second most densely populated major city in the U.S., it is the financial, cultural, and transportation center of the larger San Francisco Bay Area, a region of more than 7 million people. The city is located at the northern end of the San Francisco Peninsula, with the Pacific Ocean to the west and San Francisco Bay to the east. In 1776, the Spanish established a fort at the Golden Gate and a mission named for Francis of Assisi. The California Gold Rush in 1848 propelled the city into a period of rapid growth, transforming it into the largest city on the West Coast at the time. After being devastated by the 1906 earthquake and fire, San Francisco was quickly rebuilt, hosting the Panama-Pacific International Exposition nine years later. 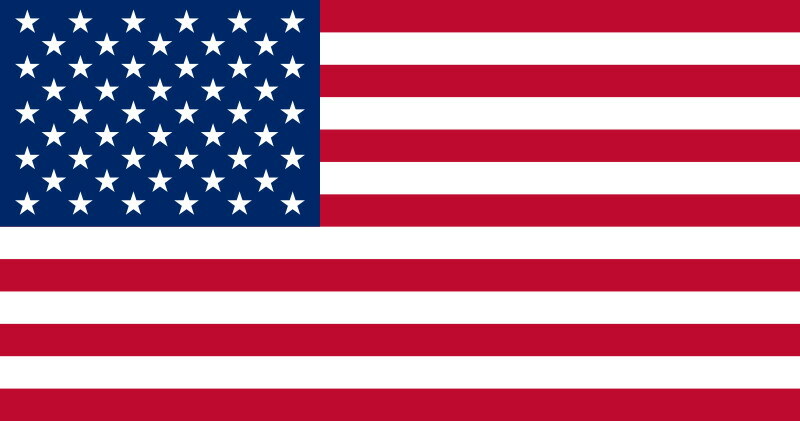 During World War II, San Francisco was the send-off point for many soldiers to the Pacific Theater. After the war, the confluence of returning servicemen, massive immigration, liberalizing attitudes, and other factors gave rise to the Summer of Love and the gay rights movement, cementing San Francisco as a liberal bastion in the United States. San Francisco is a popular international tourist destination renowned for its chilly summer fog, steep rolling hills, eclectic mix of Victorian and modern architecture and its famous landmarks, including the Golden Gate Bridge, the cable cars, and Chinatown. The city is also known for its diverse, cosmopolitan population, including large and long-established Asian American and LGBT communities. San Francisco is located on the West Coast of the U.S. at the tip of the San Francisco Peninsula and includes significant stretches of the Pacific Ocean and San Francisco Bay within its boundaries. Several islands - Alcatraz, Treasure Island, and the adjacent Yerba Buena Island, and small portions of Alameda island, Red Rock Island, and Angel Island are part of the city. Also included are the uninhabited Farallon Islands, 27 miles (43 km) offshore in the Pacific Ocean. The mainland within the city limits roughly forms a 'seven-by-seven-mile square,' a common local colloquialism referring to the city's shape, though its total area, including water, is nearly 232 square miles (600 km2). San Francisco is famous for its hills. There are more than 50 hills within city limits. 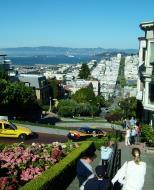 Some neighborhoods are named after the hill on which they are situated, including Nob Hill, Pacific Heights, and Russian Hill. Near the geographic center of the city, southwest of the downtown area, are a series of less densely populated hills. Twin Peaks, a pair of hills resting at one of the city's highest points, forms a popular overlook spot. San Francisco's tallest hill, Mount Davidson, is 925 feet (282 m) high and is capped with a 103 foot (31 m) tall cross built in 1934. Dominating this area is Sutro Tower, a large red and white radio and television transmission tower. San Francisco has a Mediterranean climate with dry summers, mild year-round temperatures and plenty of sunshine. Temperatures vary little throughout the year. The dry period of May to October is mild to warm, with average high temperatures of 64-70°F (17-21°C) and lows of 51-56°F (10-13°C). The rainy period of November to April is cool with high temperatures of 56-64°F (13-17°C) and lows of 46-51°F (7-10°C). On average, temperatures exceed 75°F (24°C) 28 days a year. 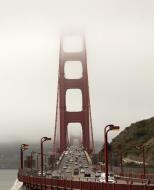 The combination of cold ocean water and the high heat of the California mainland create the city's characteristic fog that can cover the western half of the city all day during the spring and early summer. In fact, a quotation incorrectly attributed to Mark Twain is 'The coldest winter I ever spent was a summer in San Francisco.' The fog is less pronounced in eastern neighborhoods, in the late summer, and during the fall, which are the warmest months of the year. Due to its sharp topography and maritime influences, San Francisco exhibits a multitude of distinct microclimates. The high hills in the geographic center of the city are responsible for a 20 percent variance in annual rainfall between different parts of the city. They also protect neighborhoods directly to their east from the foggy and cool conditions experienced in the Sunset District; for those who live on the eastern side of the city, San Francisco is sunnier, with an average of 260 clear days, and only 105 cloudy days per year. Annual precipitation is about 20.4 inches (510 mm) which occurs mainly during the cooler months of November through April. On average, there are 67 rainy days a year. The historic center of San Francisco is the northeast quadrant of the city bordered by Market Street to the south. It is here that the Financial District is centered, with Union Square, the principal shopping and hotel district, nearby. Cable cars, carry residents and tourists alike up steep inclines to the summit of Nob Hill, once the home of the city's business tycoons, and down to Fisherman's Wharf, a tourist area featuring Dungeness crab from a still-active fishing industry. Also in this quadrant are Russian Hill, a residential neighborhood with the famously crooked Lombard Street, North Beach, the city's Little Italy, and Telegraph Hill, which features Coit Tower. Nearby is San Francisco's Chinatown, established in the 1860s. The Tenderloin is known as the crime-infested underbelly of the city. The Mission District was populated in the 19th century by Californios and working-class immigrants from Germany, Ireland, Italy and Scandinavia. In the 1910s, a wave of Central American immigrants settled in the Mission and, in the 1950s, immigrants from Mexico began to predominate. Recent years have seen rapid gentrification primarily along the Valencia Street corridor which is strongly associated with modern hipster sub-culture. Haight-Ashbury, famously associated with 1960s hippie culture, later became home to expensive boutiques and a few controversial chain stores, although it still retains some bohemian character. Historically known as Eureka Valley, the area now popularly called the Castro is the center of gay life in the city. The city's Japantown district suffered when its Japanese American residents were forcibly removed and interned during World War II. The nearby Western Addition became established with a large African American population at the same time. The 'Painted Ladies,' a row of well-restored Victorian homes, stand alongside Alamo Square, and the mansions built by the San Francisco business elite in the wake of the 1906 earthquake can be found in Pacific Heights. The Marina to the north is a lively area with many young urban professionals. The Richmond, the vast region north of Golden Gate Park that extends to the Pacific Ocean, today has a portion called 'New Chinatown,' but also attracts immigrants from other parts of Asia and Russia. South of Golden Gate Park lies the Sunset with an Asian majority population. The Richmond and the Sunset are largely middle class and, together, are known as The Avenues. Bayview-Hunter's Point in the southeast section of the city is one of the poorest neighborhoods and suffers from a high rate of crime, though the area has been the focus of controversial plans for urban renewal. The South of Market, once filled with decaying remnants of San Francisco's industrial past, has seen significant redevelopment. The locus of the dot-com boom during the late 1990s, by 2004 South of Market began to see skyscrapers and condominiums dot the area (see Manhattanization). Following the success of nearby South Beach, another neighborhood, Mission Bay, underwent redevelopment, anchored by a second campus of the University of California, San Francisco. Just southwest of Mission Bay is the Potrero Hill neighborhood featuring sweeping views of downtown San Francisco. Ocean Beach runs along the Pacific Ocean shoreline, but is not suitable for swimming because the waters off the coast are perennially cold and form deadly rip currents. Baker Beach is located in a cove just inside the Golden Gate and adjacent to the Presidio, a former military base. Crissy Field, within the Presidio, has been restored to its natural salt marsh ecosystem. All of these together, plus other sites such as Alcatraz and Fort Funston, form part of the Golden Gate National Recreation Area, a regional collection of beaches, parks, and historic sites administered by the National Park Service. The NPS separately administers the San Francisco Maritime National Historic Park - a fleet of historic ships and waterfront property around Aquatic Park. There are more than 200 parks maintained by the San Francisco Recreation and Parks Department. The largest and best-known city park is Golden Gate Park, which stretches from the center of the city west to the Pacific Ocean. Once covered in native grasses and sand dunes, the park was conceived in the 1860s and was created by the extensive planting of thousands of non-native trees and plants. The large park is rich with cultural and natural attractions such as the Conservatory of Flowers, Japanese Tea Garden and San Francisco Botanical Garden. Lake Merced is a fresh-water lake surrounded by parkland and near the San Francisco Zoo, a city-owned park which houses more than 250 animal species, many of which are designated as endangered. The only park managed by the California State Park system located principally in San Francisco, Candlestick Point was the state's first urban recreation area. Although the centralized commerce and shopping districts of the Financial District and the area around Union Square, are well-known around the world, San Francisco is also characterized by its culturally rich streetscapes featuring mixed-use neighborhoods anchored around central commercial corridors to which residents and visitors alike can walk. Because of these characteristics, San Francisco was rated 'most walkable' city by the website Walkscore.com. Many neighborhoods feature a mix of businesses, restaurants and venues catering to the daily needs of the community while also drawing in visitors. Some neighborhoods are dotted with boutiques, cafes and nightlife, such as Union Street in Cow Hollow, and 24th Street in Noe Valley. Others are less so, such as Irving Street in the Sunset, or Mission Street in the Mission. This approach especially has influenced the continuing South of Market neighborhood redevelopment, with businesses and neighborhood services rising alongside high-rise residences. Following the arrival of writers and artists of the 1950s - who established the modern coffeehouse culture - and the social upheavals of the 1960s, San Francisco became an epicenter of liberal activism, with Democrats and Greens dominating city politics. Indeed, San Franciscans have not provided a Republican presidential candidate more than 20 percent of the vote since the 1988 election. The city's large gay and lesbian population has created and sustained a politically and culturally active community over many decades, developing a powerful presence in San Francisco's civic life. 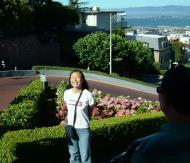 A popular destination for gay and lesbian tourists, the city hosts San Francisco Pride, an annual parade and festival. The Fillmore is a music venue located in the Western Addition. It is the second incarnation of the historic venue that gained fame in the 1960s under the legendary concert promoter Bill Graham, housing the stage where now-famous musicians such as the Grateful Dead, Janis Joplin and Jefferson Airplane first performed, fostering the San Francisco Sound. Beach Blanket Babylon is a zany musical revue and a civic institution that has performed to sold-out crowds in North Beach since 1974. The American Conservatory Theater (A.C.T.) has been a leading force in Bay Area performing arts since its arrival in San Francisco in 1967, regularly staging original productions. San Francisco frequently hosts national touring productions of Broadway theatre shows in a number of vintage 1920s-era venues in the Theater District including the Curran, Orpheum, and Golden Gate Theatres. The Museum of Modern Art (SFMOMA) houses 20th century and contemporary works of art. It moved to its iconic building in the South of Market neighborhood in 1995 and now attracts more than 600,000 visitors annually. The Palace of the Legion of Honor holds primarily European antiquities and works of art at its Lincoln Park building modeled after its Parisian namesake. It is administered by Fine Arts Museums of San Francisco, which also operates the de Young Museum in Golden Gate Park. The de Young's collection features American decorative pieces and anthropological holdings from Africa, Oceania and the Americas. Prior to construction of its current copper-clad structure, completed in 2005, the de Young also housed the Asian Art Museum which, with artifacts from over 6,000 years of history across Asia, moved into the former public library next to Civic Center in 2003. Opposite the Music Concourse from the de Young stands the California Academy of Sciences, a natural history museum which also hosts the Morrison Planetarium and Steinhart Aquarium. Its current structure, featuring a living roof, is an example of sustainable architecture and opened in 2008. The Palace of Fine Arts, built originally for the 1915 Panama-Pacific Exposition, has since 1969 housed the Exploratorium, an interactive science museum. The San Francisco Chronicle, in which Herb Caen famously published his daily musings, is Northern California's most widely circulated newspaper. The San Francisco Examiner, once the cornerstone of William Randolph Hearst's media empire and the home of Ambrose Bierce, declined in circulation over the years and now takes the form of a free daily tabloid. Sing Tao Daily claims to be the largest of several Chinese language dailies that serve the Bay Area. Alternative weekly newspapers include the San Francisco Bay Guardian and SF Weekly. San Francisco Magazine and 7x7 are major glossy magazines about San Francisco. The national newsmagazine Mother Jones is also based in San Francisco. The San Francisco Bay Area is the sixth-largest TV market and the fourth-largest radio market in the U.S. The city's oldest radio station, KCBS (AM), began as an experimental station in San Jose in 1909. KALW was the city's first FM radio station when it signed on the air in 1941. All major U.S. television networks have affiliates serving the region, with most of them based in the city. There also are several unaffiliated stations, and CNN, ESPN, and BBC have regional news bureaus in San Francisco. The city's first television station was KPIX, which began broadcasting in 1948. Public broadcasting outlets include both a television station and a radio station, both broadcasting under the call letters KQED from a facility near the Potrero Hill neighborhood. KQED-FM is the most-listened-to National Public Radio affiliate in the country. San Francisco-based CNET and Salon.com pioneered the use of the Internet as a media outlet. The San Francisco 49ers of the National Football League (NFL) are the longest-tenured major professional sports franchise in the city. The team began play in 1946 as an All-America Football Conference (AAFC) league charter member, moved to the NFL in 1950 and into Candlestick Park in 1971. The 49ers won five Super Bowl titles in the 1980s and 1990s behind legendary coach Bill Walsh and stars Joe Montana, Steve Young, Ronnie Lott, and Jerry Rice. Major League Baseball's San Francisco Giants left New York for California prior to the 1958 season. Though boasting stars such as Willie Mays, Willie McCovey and Barry Bonds, the club has yet to win the World Series while based in San Francisco. The Oakland Athletics swept the Giants in the 1989 World Series, after Game 3 in San Francisco was infamously pre-empted by the Loma Prieta earthquake. The Giants play at AT&T Park which was opened in 2000, a cornerstone project of the South Beach and Mission Bay redevelopment. Kezar Stadium near the Haight-Ashbury neighborhood, former home of the 49ers, hosts the semiprofessional San Francisco Bay Seals of the United Soccer League's developmental league. At the collegiate level, the Dons of the University of San Francisco compete in NCAA Division I, where Bill Russell guided the program to basketball championships in 1955 and 1956. The San Francisco State Gators and the Academy of Art University Urban Knights compete in Division II. AT&T Park hosts college football's annual Emerald Bowl. The Bay to Breakers footrace, held annually since 1912, is best known for colorful costumes and a celebratory community spirit. The San Francisco Marathon is an annual event that attracts more than 7,000 participants. The Escape from Alcatraz triathlon has, since 1980, attracted 2,000 top professional and amateur triathletes for its annual race. The Olympic Club, founded in 1860, is the oldest athletic club in the United States. Its private golf course, situated on the border with Daly City, has hosted the U. S. Open on four occasions. The public Harding Park Golf Course is an occasional stop on the PGA Tour. With an ideal climate for outdoor activities, San Francisco has ample resources and opportunities for amateur and participatory sports and recreation. There are more than 200 miles (320 km) of bicycle paths, lanes and bike routes in the city, and the Embarcadero and Marina Green are favored sites for in-line skating. Extensive public tennis facilities are available in Golden Gate Park and Dolores Park, as well as at smaller neighborhood courts throughout the city. Boating, sailing, windsurfing and kitesurfing are among the popular activities on San Francisco Bay, and the city maintains a yacht harbor in the Marina District. San Francisco residents have often ranked among the fittest in the U.S.
Tourism is the backbone of the San Francisco economy. Its frequent portrayal in music, film, and popular culture has made the city and its landmarks recognizable worldwide. It is the city where Tony Bennett left his heart, where the Birdman of Alcatraz spent many of his final years, and where Rice-a-Roni was said to be the favorite treat. San Francisco attracts the fourth-highest number of foreign tourists of any city in the U.S. and claims Pier 39 near Fisherman's Wharf as the third-most popular tourist attraction in the nation. More than 16 million visitors arrived in San Francisco in 2007, injecting nearly $8.2 billion into the economy - both all-time high figures for the city. With a large hotel infrastructure and a world-class convention facility in the Moscone Center, San Francisco is also among the top-ten North American destinations for conventions and conferences. The legacy of the California Gold Rush turned San Francisco into the principal banking and finance center of the West Coast in the early twentieth century. Montgomery Street in the Financial District became known as the 'Wall Street of the West', home to the Federal Reserve Bank of San Francisco, the Wells Fargo corporate headquarters, and the site of the now-defunct Pacific Coast Stock Exchange. Bank of America, a pioneer in making banking services accessible to the middle class, was founded in San Francisco and in the 1960s, built the landmark modern skyscraper at 555 California Street for its corporate headquarters. Many large financial institutions, multinational banks and venture capital firms are based in or have regional headquarters in the city. With over 30 international financial institutions, six Fortune 500 companies, and a large support infrastructure of professional services - including law, public relations, architecture and design - also with significant presence in the city, San Francisco is designated as one of the ten Beta World Cities. The city ranks fifteenth in the world's list of cities by GDP and eighth in the United States. San Francisco's economy has increasingly become tied to that of its Bay Area neighbor San Jose and Silicon Valley to its south, sharing the need for highly educated workers with specialized skills. San Francisco has been positioning itself as a biotechnology and biomedical hub and research center. The Mission Bay neighborhood, site of a second campus of UCSF, fosters a budding industry and serves as headquarters of the California Institute for Regenerative Medicine, the public agency funding stem cell research programs statewide. Because of its unique city-county status, local government exercises jurisdiction over property that would otherwise be located outside of its corporation limit. San Francisco International Airport, though ostensibly located in San Mateo County, is owned and operated by the City and County of San Francisco. San Francisco was also granted a perpetual leasehold over the Hetch Hetchy Valley and watershed in Yosemite National Park by the Raker Act in 1913. In 2006, the Board of Supervisors passed an ordinance making San Francisco the first city in the nation to provide health care services to all uninsured residents, with creation of the Healthy San Francisco program. The municipal budget for fiscal year 2007-2008 was just over $6 billion. The federal government utilizes San Francisco as the regional hub for many arms of the federal bureaucracy, including the U.S. Court of Appeals, the Federal Reserve Bank, and the U.S. Mint. 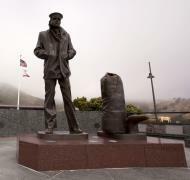 Until decommissioning in the early 1990s, the city had major military installations at the Presidio, Treasure Island, and Hunters Point a legacy still reflected in the annual celebration of Fleet Week. The State of California uses San Francisco as the home of the state supreme court and other state agencies. Foreign governments maintain more than seventy consulates in San Francisco. 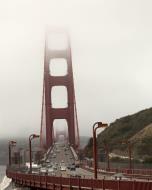 The estimated 2007 population of San Francisco is 799,183. With nearly 16,000 people per square mile, San Francisco is the second-most densely populated major American city. San Francisco is the traditional focal point of the San Francisco Bay Area and forms part of the greater San Jose-San Francisco-Oakland Combined Statistical Area (CSA) whose population is over 7 million: the fifth largest in the U.S. as of the 2000 Census. Like many larger U.S. cities, San Francisco is a minority-majority city, as non-Hispanic whites comprise less than half of the population. As of 2007, the Census Bureau estimated that 45.0 percent of the population was non-Hispanic white. Asian Americans make up 33.1% of the population; Chinese Americans constitute the largest single ethnic group in San Francisco at about a fifth of the population. Hispanics of any race make up 14.0% of the population. San Francisco's African American population has declined in recent decades, from 13.4 percent of the city in 1970 to 7.3 percent of the population in 2007. The current percentage of African Americans in San Francisco is similar to that of the state of California. 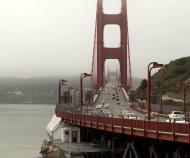 Relatively few of the city's residents are native San Franciscans. Only 37.4 percent of its residents were born in California; 35.7 percent were born outside the U.S. 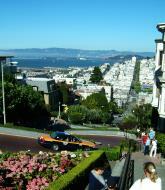 The San Francisco median household income in 2007 was $65,519, with the median family income at $81,136. Following a national trend, an out-migration of middle class families is contributing to widening income disparity and has left the city with a lower proportion of children, 14.5 percent, than any other large American city. Homelessness has been a chronic and controversial problem for San Francisco since the early 1980s. The city is believed to have the highest number of homeless inhabitants per capita of any major U.S. city. The rates of violent and property crime, reported for 2006 as 875 and 4,958 incidents per 100,000 residents respectively, are higher than the national average. In 2008, the city recorded 98 homicides. The University of California, San Francisco is part of the University of California system but is solely dedicated to graduate education in health and biomedical sciences. It is ranked among the top-five medical schools in the U.S. and also operates the UCSF Medical Center, ranked among the top 10 hospitals in the U.S. UCSF is a major local employer, second in size only to the city and county government. A 43-acre Mission Bay campus was opened in 2003, complementing its original facility in Parnassus Heights. It contains research space and facilities to foster biotechnology and life sciences entrepreneurship and will double the size of UCSF's research enterprise. The University of California, Hastings College of the Law, founded in Civic Center in 1878, is the oldest law school in California and claims more judges on the state bench than any other institution. Founded in 1855, the University of San Francisco, a private Jesuit university located on Lone Mountain, is the oldest higher learning institution in San Francisco and one of the oldest universities established west of the Mississippi. Its curriculum focuses on the liberal arts. With an enrollment of 13,000 students, Academy of Art University is the largest institute of art and design in the nation. Founded in 1871, the San Francisco Art Institute is the oldest art school west of the Mississippi. The San Francisco Conservatory of Music, the only independent school of music on the West Coast, grants degrees in orchestral instruments, chamber music, composition, and conducting. Public schools are run by the San Francisco Unified School District as well as the State Board of Education for some charter schools. Lowell High School, the oldest public high school in the U.S. west of the Mississippi, and the smaller School of the Arts High School are two of San Francisco's magnet schools at the secondary level. Just under 30 percent of the city's school-age population attends one of San Francisco's more than 100 private or parochial schools, compared to a 10 percent rate nationwide. Nearly 40 of those schools are Catholic schools managed by the Archdiocese of San Francisco. Because of its unique geography - making beltways somewhat impractical - and the results of the freeway revolts of the late 1950s, San Francisco is one of the few American cities that has opted for European-style arterial thoroughfares instead of a large network of freeways. This trend continued following the 1989 Loma Prieta Earthquake, when city leaders decided to demolish the Embarcadero Freeway, and voters approved demolition of a portion of the Central Freeway, converting them into street-level boulevards. Interstate 80 begins at the approach to the Bay Bridge and is the only direct automobile link to the East Bay. U.S. Route 101 extends Interstate 80 to the south along the San Francisco Bay toward Silicon Valley. Northbound, 101 uses arterial streets Van Ness Avenue and Lombard Street to the Golden Gate Bridge, the only direct road access from San Francisco to Marin County and points north. Highway 1 also enters San Francisco at the Golden Gate Bridge, but diverts away from 101, bisecting the west side of the city as the 19th Avenue arterial thoroughfare, and joining with Interstate 280 at the city's southern border. Interstate 280 continues this route along the central portion of the Peninsula south to San Jose. Northbound, 280 turns north and east and terminates in the South of Market area. State Route 35, which traverses the majority of the Peninsula along the ridge of the Santa Cruz Mountains, enters the city from the south as Skyline Boulevard, following city streets until it terminates at its intersection with Highway 1. State Route 82 enters San Francisco from the south as Mission Street, following the path of the historic El Camino Real and terminating shortly thereafter at its junction with 280. The cross-country Lincoln Highway's western terminus is in Lincoln Park. Major east-west thoroughfares include Geary Boulevard, the Lincoln Way/Fell Street corridor, and Market Street/Portola Drive. Many people in San Francisco use public transportation, nearly a third of commuters in 2005. Public transit solely within the city of San Francisco is provided predominantly by the San Francisco Municipal Railway (Muni). The city-owned system operates both a combined light rail/subway system (the Muni Metro) and a bus network that includes trolleybuses, standard diesel motorcoaches and diesel hybrid buses. The Metro streetcars run on surface streets in outlying neighborhoods but underground in the downtown area. Additionally, Muni runs the highly visible F Market historic streetcar line, which runs on surface streets from Castro Street to Fisherman's Wharf (through Market Street), and the iconic San Francisco cable car system, which has been designated as a National Historic Landmark. Commuter rail is provided by two complementary agencies. Bay Area Rapid Transit (BART) is the regional rapid transit system which connects San Francisco with the East Bay through the Transbay Tube. The line runs under Market Street to Civic Center, where it turns south to the Mission District, the southern part of the city, and through northern San Mateo County, to the San Francisco International Airport, and Millbrae. The Caltrain rail system runs from San Francisco along the Peninsula down to San Jose. The line dates from 1863, and for many years was operated by Southern Pacific. The Transbay Terminal serves as the terminus for long-range bus service (such as Greyhound) and as a hub for regional bus systems AC Transit (Alameda County), SamTrans (San Mateo County), and Golden Gate Transit (Marin and Sonoma Counties). Amtrak also runs a shuttle bus from San Francisco to its rail station in Emeryville. San Francisco International Airport (SFO), though located 13 miles (21 km) south of the city in San Mateo County, is under the jurisdiction of the City and County of San Francisco. SFO is primarily adjacent to the cities of Millbrae and San Bruno, but also borders the most southern part of the city of South San Francisco. SFO is a hub for United Airlines, its largest tenant, and the decision by Virgin America to base its operations out of SFO reversed the trend of low-cost carriers opting to bypass SFO for Oakland and San Jose. SFO is an international gateway, with the largest international terminal in North America. The airport is built on a landfill extension into the San Francisco Bay. During the economic boom of the late 1990s, when traffic saturation led to frequent delays, it became difficult to respond to calls to relieve the pressure by constructing an additional runway as that would have required additional landfill. Such calls subsided in the early 2000s as traffic declined, and, in 2006, SFO was the 14th busiest airport in the U.S. and 26th busiest in the world, handling 33.5 million passengers. The Port of San Francisco was once the largest and busiest seaport on the West Coast. It featured rows of piers perpendicular to the shore, where cargo from the moored ships was handled by cranes and manual labor and transported to nearby warehouses. The port handled cargo to and from trans-Pacific and Atlantic destinations, and was the West Coast center of the lumber trade. The 1934 West Coast Longshore Strike, an important episode in the history of the American labor movement, brought the port to a standstill. The advent of container shipping made pier-based ports obsolete, and most commercial berths moved to the Port of Oakland. A few active berths specializing in break bulk cargo remain alongside the Islais Creek Channel.